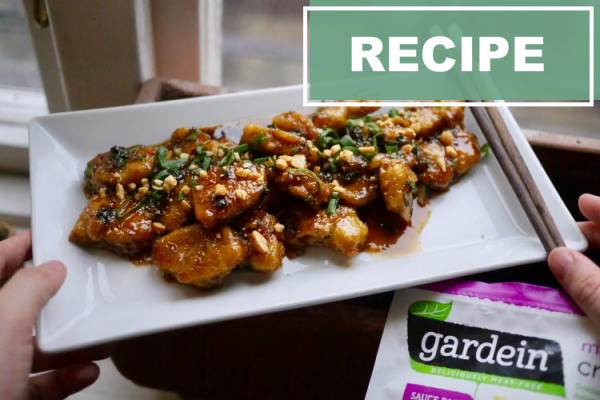 Combine gardein mandarin orange chick’n sauce with rice wine vinegar, soy sauce, and pepper flakes in a bowl. Set aside. Heat sesame oil in a wok or heavy saucepan over medium heat. 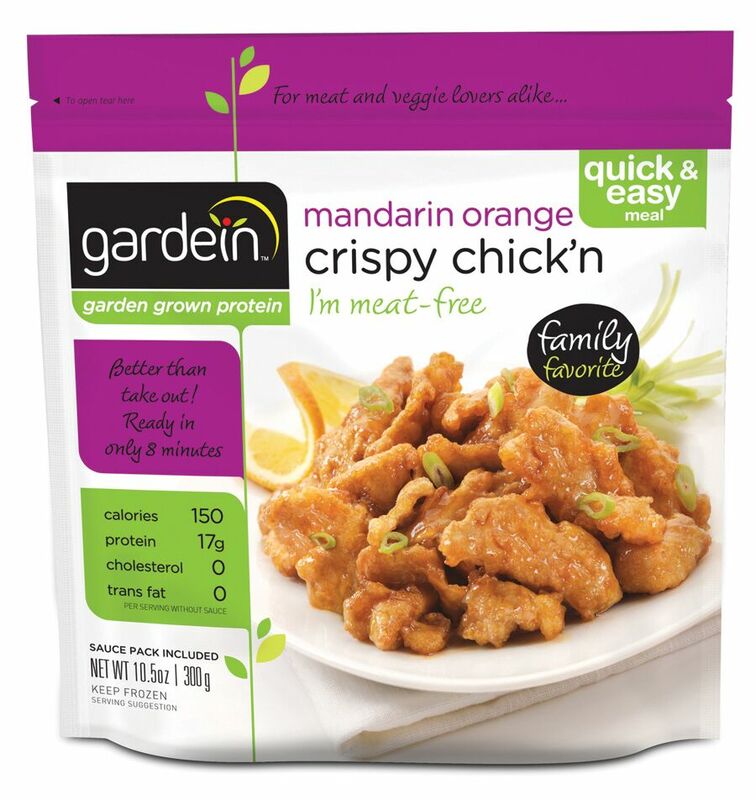 Add gardein mandarin orange chick’n pieces and stir fry for 4 to 5 minutes until golden and crispy. Remove to a bowl. Add garlic and ginger to wok or saucepan and sauté until fragrant, about 15 seconds. Add orange sauce mixture and stir until bubbling and thickened about 1 minute. Return gardein chick’n to wok or saucepan and coat with sauce. Stir in green onions, reserving a couple tablespoons for garnish and cook, stirring constantly, until gardein chick’n is warm, about 2 minutes. Serve kung pow chick’n on a bed of rice and garnish with chopped peanuts and remaining green onions.